Houston would not be the city it is today without this man’s vision, his dedication to the philanthropic needs of a growing community and a sincere caring for those less fortunate. Ben Taub served as a Captain in the 132nd Field Artillery in World War I. After the war, he returned home to become Houston’s largest real estate developer. He chaired and operated dozens of companies throughout his life including Chairman and Senior Chairman of the Board of Texas Commerce Bank, Chairman of the Board, McGregor Park National Bank and Director, American General Insurance Company. Yet he was also dedicated to helping the indigent, ill, elderly and children. At one time he served on twenty-three boards, including President and then Chairman of DePelchin Faith Home, now DePelchin Children’s Center, for over twenty years; President, Baylor Medical Foundation; Trustee, Baylor College of Medicine; President, The Pauline Sterne Wolff Memorial Foundation; President, Taub Foundation; Director, Child Welfare League of America; Director, Marie Boswell Flake Home; Chairman, Board of Managers, Houston Tuberculosis Hospital; Founding Board Member, TIRR; Director and Life Director, Texas Medical Center; Trustee, St. Thomas University; Director, Mading Foundation; 32 Mason. Master Mason, Awarded Fifty Year Masonic Grand Lodge Award; District Director, Office of Price Administration (WWII); Chairman, Community Chest, United Fund, which is now United Way, and may others. In 1936, Ben Taub donated thirty-five acres to establish the University of Houston. He was instrumental in moving what is now known as Baylor College of Medicine from Dallas to the Texas Medical College in 1943. Ben Taub was also the reason the world renowned heart surgeon, Dr. Michael E. DeBakey, remained in Houston, when other opportunities were calling the famous doctor. Ben Taub’s next move was making the history-changing, medical arrangement of having Baylor College of Medicine’s medical staff provide care and oversee City-County Charity Hospitals and clinics, which as continued to provide top quality medical care for all who need it. 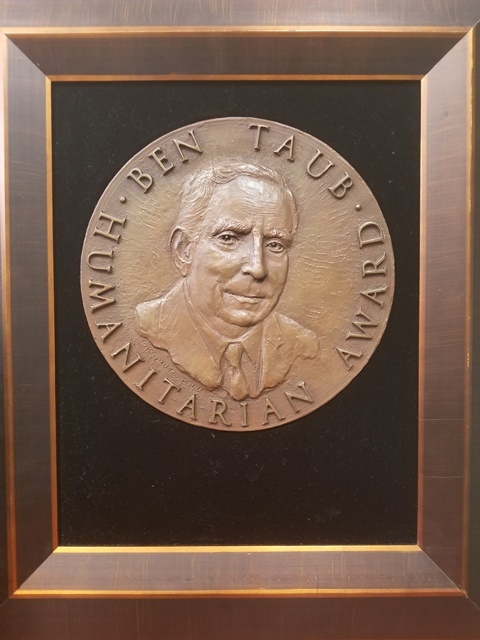 Ben Taub spent every Sunday visiting patients in Houston’s City-County hospitals, worked with city and county officials on many charity endeavors, and was Chairman of the Board of Managers of the County Charity Hospitals, Jefferson Davis Hospital and Ben Taub General Hospital from 1935-1964. Ben Taub died at 92 on September 9, 1982. Baylor College of Medicine opened the Ben Taub Research Center in 1986. While this is a small fraction of what Ben Taub gave to Houston, he dedicated his time and his resources to see what the growing city and county thrived for all. He left some very large boots to fill. His family has continued his legacy, remaining active in many areas of our community. 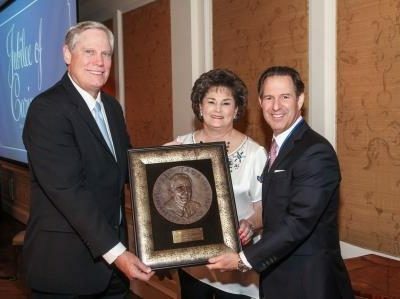 Harris County Hospital District Foundation also keeps his legacy alive through the Ben Taub Humanitarian Award, which honors those philanthropic individuals who have also made significant contributions to Houston. 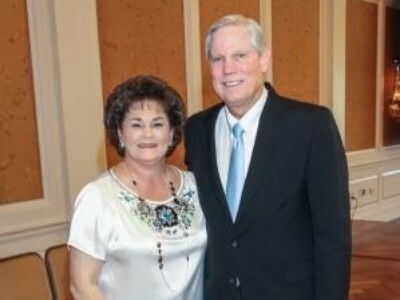 One of Houston’s most well-known, philanthropic and respected couples. Corbin “Corby” J. Robertson, Jr., and his wife, Barbara, have been improving the quality of life for Houstonians of all ages for more than 30 years. Leading by example, the couple inspires others in the community to join them in service to our city. They have committed both their time and their resources to a wide range of charitable and civic organizations that provide heath care, education, social services and arts programming for tens of thousands of Houstonians. Their family tradition of generosity and volunteerism dates back to Corby’s grandparents, Hugh Roy and Lilly Cullen, and his parents, Corby Sr. and Wilhelmina Cullen Robertson. Through personal gifts and gifts made through the highly regarded Cullen Family Foundations, Corby and Barbara support medical initiatives at Baylor College of Medicine., the Texas Heart Institute, The Menninger Clinic, Texas Children’s Hospital, CHI St. Luke’s Health Baylor, St. Luke’s Medical Center, MD Anderson Cancer Center, the Texas Medical Center, Friends of Hospice at the Texas Medical Center and the Harris County Hospital District Foundation. Other organizations benefiting from their generosity include The Kinkaid School; the University of Houston; The University of Texas; the Museum of Fine Arts, Houston; Bayou Bend Collection and Gardens; Covenant House Texas; Houston AWARE; The Women’s Fund; and Communities in Schools, among others.